Just imagine being able to find priceless antiques in just seven days (or less) without making a ton of expensive mistakes or wasting time looking in the wrong places. And if you could do this from the comfort of your own home, wouldn't that be great? Yes you could have the knowledge of how to find priceless antiques. It truly is possible, but you just need to know how. That's what this brand new amazing audiobook on antiquing can help you do. Plus you can learn how to make money from your antiques in just seven days. 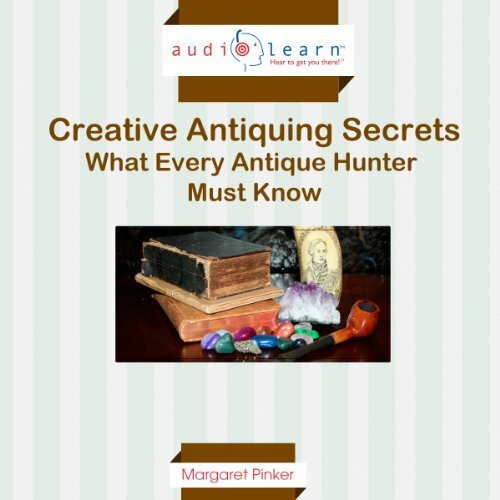 Every bit of this audiobook is packed with the latest cutting edge information on antiquing. It took over a year to research, gather the data, and compile it into this amazing new audiobook.